Sorry about last week…we were, quite frankly, having too much fun over Memorial Day weekend and I blew it on the meal planning front! We had a strange week, too, so there wasn’t much cooking happening anyway. But we’re back in business this week. Seriously, your menus from last time were a huge help for me as I planned today. 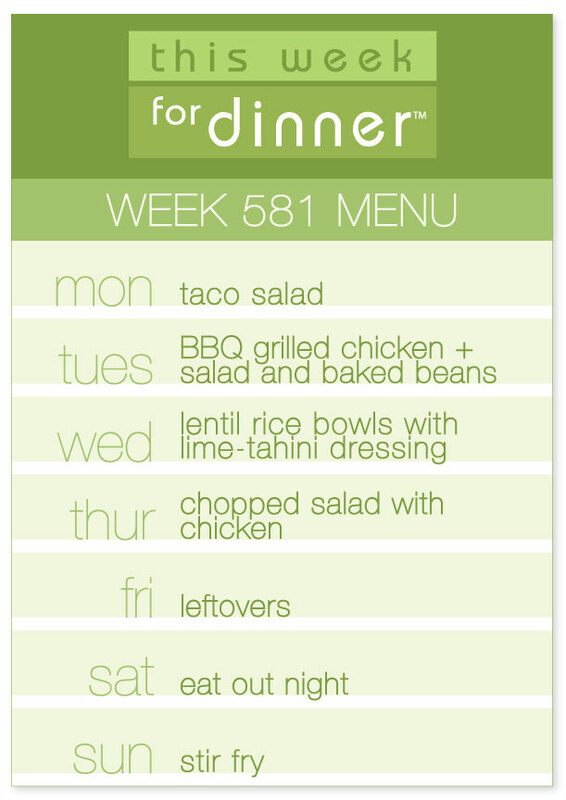 As always, thank you for sharing your menus with us week after week…including this week! Can’t wait to see what you’ve got cooking, please share below! Wednesday: Going to the shore – hoping for seafood! All cooked for the week, again, too, including breakfasts (huevos rancheros and zucchini) and lunches (blackened salmon salads). Husband and I are doing paleo for a couple of weeks. Just discovered this blog. I cannot function without a menu. Glad to find a place that encourages menu sharing, so here it goes. Thurs thru Sunday Road Trip!